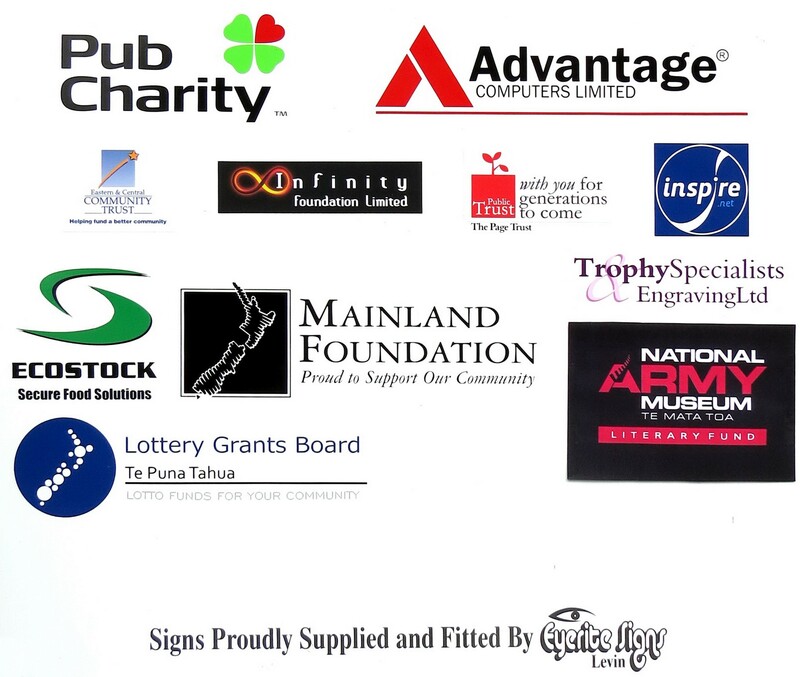 Pub Charity, for several grants to bring internet access and Broadband into the ECMC, fund computing, copying, printing and scanning equipment, establishment of a wireless IC&T environment within the ECMC and provision of backup and storage equipment for Corps collections and electronic displays for the museum section. Also, for the annual “fine arts” collection and trustee liability insurance premiums and fire and security safes for the ECMC, plus a major contribution towards the oral history interview phase of the RNZE Corps History Project. Inspire Net, for drastically reducing the cost of internet access and Broadband connection and installation into the ECMC, as well as for increasing the speed and capacity of ongoing internet services and covering all IC&T operating charges from 2016, as a direct sponsor. From August 2018 thru 2021, sponsorship for hosting and supporting the new website www.nzsappers.org.nz. Advantage Computers Limited, for their ongoing advice, technical support, supply and installation of all the new electronic computing, copying, display, printing, scanning and wireless equipment for and into the ECMC. Eastern and Central Community Trust (ECCT), for several grants towards the RNZE Corps History Project oral history interview programme in 2013-14, as well as the supply of a portable multi-media presentation package in 2015 and Stage 1 of the scanning, digitising and post-processing of heritage and historical material project in 2017, plus Stage 2 in 2018. The Public Trust – Page Trust, for contributing towards the cost of providing publicity brochures for both the St Martin’s RNZE and Garrison Chapel and the ECMC at Linton Camp. Infinity Foundation Trust Ltd, for funding a significant quantity of specialist consumable materials and supplies for the ECMC, including photographic paper and a range of printer cartridges. Also, a contribution towards the RNZE Corps History (oral history interview phase) project in early 2014. Eyerite Signs (John Cameron, Levin), for the ongoing design and artwork, as well as the manufacture, supply and installation of signage to the interior and exterior of the ECMC buildings. Ecostock (Auckland), for significant financial support for ECMC operating expenditure. Trophy Specialists (PN,) for ongoing advice and discounted engraving, trophy items and special display board manufacture, memorial plaques and other services for the ECMC. Mainland Foundation, for several grants towards the completion of the oral history interview phase of the RNZE Corps History Project in 2014, as well as the LED strip lighting conversion to the ECMC museum display cabinets, Stage 3 of the development of the “Sappers’” website in 2015-16 and 2018, plus the insurance policy premium renewal in 2017. In 2018, a grant towards specialist preservation materials for the ECMC Library and Museum. Lottery Grants Board (Department of Internal Affairs), for a very significant grant towards the final research and writing phase of the RNZE Corps History Project (CHP). In 2018, another grant towards the publishing of the CHP book. This should enable an authorative written history of the RNZE Corps (1500’s to the present day) to be published and released in early 2019. National Army Museum Trust Literary Fund, for a generous grant towards the publishing of the RNZE Corps History book, due for launch and release in early 2019. Downer NZ (including Spotless and Agis), for a generous grant towards the RNZE Corps History Project, which will be used for publishing the book and a launch and release in early 2019. Individual contributors and donors (comprising serving and retired members of the Corps of RNZE, through automatic allotments/payments) towards the RNZE CT, IPENZ (Manawatu Branch), Auckland Sapper Officers’ Mess and others, to defray development and operating expenses for the ECMC, including the library, museum, RNZE technical information centre (“TIC RNZE”) and St Martin’s RNZE and Garrison Chapel, at Linton Camp. 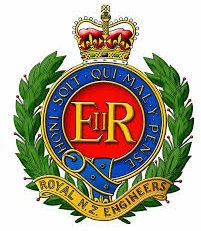 The RNZE Charitable Trust (or RNZE CT) was formed in May 2011 to administer, finance and support the ongoing requirements of the Engineer Corps Memorial Centre (or ECMC, comprising St Martin’s RNZE and Garrison Chapel, and the Engineer Library and Museum) at Linton Camp. The Trust also provides support for important projects, such as the RNZE Corps History project, rebuild and restoration of the ECMC museum collection and displays, the re-establishment of the ECMC library collection and technical information centre/resource and more, and relies on financial contributions to ensure their respective financial and physical security for the future. The RNZE Charitable Trust is registered with the Charities Section of the Department of Internal Affairs and also has tax exempt and donee status from the IRD. That means that any donations to the Trust are tax deductible. Contribution of relevant historical and reference material – including artefacts, books, collectibles, memorabilia, photos and so on. For further enquiries, please make contact with the Trust at the above address, or through Headquarters 2nd Engineer Regiment, Private Bag, Linton Military Camp. Thank you for your generous contribution, all donations will be acknowledged and receipted back to the original donor.